All recommendations, reports and proposals will be provided in writing after the inspection. If you are interested in setting up an inspection please click here or contact us at (301) 953-7770. Morin Distribution is a distributor of OEM replacement parts and equipment for commercial HVAC, maintaining an extensive stock at all times. 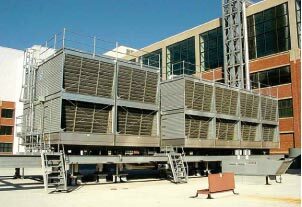 CT/HX, a service group of the The Morin Company, provides contracting and engineering services to enhance the performance of cooling towers and heat exchangers.